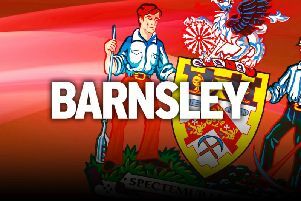 Barnsley loan striker Oli McBurnie has been awarded with his first Scotland call-up. Alex McLeish named his first squad since re-taking the helm and Swansea loanee McBurnie was among six first-time call-ups yesterday. McBurnie, aged 21, has netted five goals in seven Reds appearances. McLeish said: “I want to look at players doing well at their clubs. Meanwhile, defender Dani Pinillos wants Barnsley to bounce back fast tonight. The Reds fell to a disappointing defeat on Saturday to Middlesbrough. However, a run of four successive away games has now come to an end and there are three consecutive games at Oakwell to look forward to. First up is Marley Watkins’ return to the club with Norwich City. Pinillos stressed: “We have to move on now. We can’t do anything about Saturday’s game. “We have a game at home and we need to focus on that. “There have been positives to take from our recent games. “We gave ourselves too much to do in the last two games but we’ve shown we can hurt the very top teams at times. “We are actually confident as a team that we can get the results we need (to stay in the Championship). The Reds are two points clear of the relegation zone.